The wedding of the year draws ever closer and when Kate Moss and Jamie Hince… sorry Prince William and Kate Middleton walk down the aisle on April 29th, there will be many an interested spectator. A Royal Wedding offers punters plenty of betting opportunities and none will be bigger than the colour of the Queen’s hat. Usually reserved for Royal Ascot bets, the colour of the Queens hat always proves a hugely popular betting market and Ladbrokes are offering prices on pretty much every colour of the spectrum. New customers to Ladbrokes.com can sign up here for a free Royal Wedding bet worth £25. Black is the 25/1 outsider with blue available as the 3/1 favourite, but a quick poll of the Ladbrokes office suggests the 5/1 on offer for pink and the 7/1 on offer for purple look popular choices. The colour of the Queen’s hat betting will take precedence on a day when there will be plenty of Royal Wedding betting markets open for punters to explore, and with around 30 million people expected to tune in, there will be plenty of trading occurring. It’s 1/2 that less than 30 million BBC and ITV viewers tune into the Royal Wedding, 9/4 that 30-34 million people watch and 6/1 that over 34 million people switch on their televisions to watch what will be the event of the year. 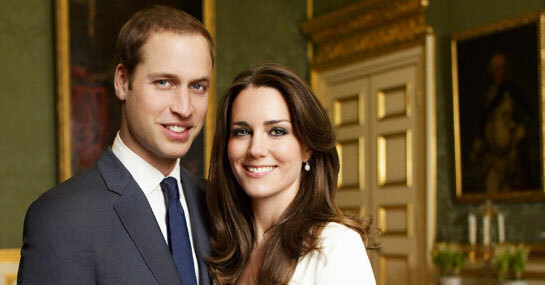 Punters who love a bet on Prince William and Kate will find everything they need at Ladbrokes.com and new customers are eligible for a free Royal Wedding bet worth £25. As London prepares to come to a halt, punters should prepare to find some Royal Wedding value. New customers can sign up here for a free Royal Wedding bet worth £25.